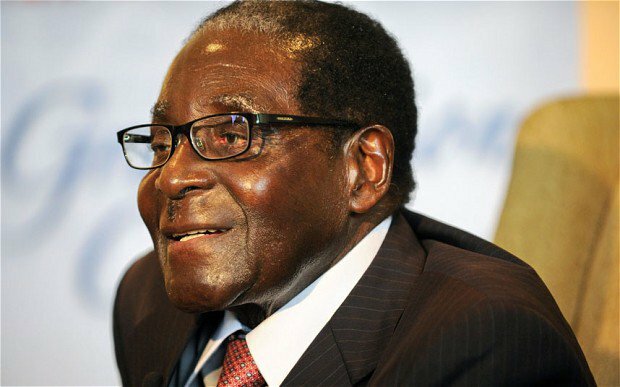 ZIMBABWE – A Zimbabwean pastor arrested for holding a placard telling President Robert Mugabe that “the people are suffering” and referring him to the Bible, has been in prison for two weeks because he can’t raise the$ 500 bail fee, rights lawyers said on Tuesday. He had held up a placard saying, “Mr President. The people are suffering. Proverbs chapter 21 verse 13”. The little-known pastor was charged with criminal nuisance and a magistrate granted him $500 bail on December 15.
lawyer argued that the bail fee was too exorbitant.” Zimbabwe’s average wage is about $250 per month. losses and a lack of desperately-needed foreign investment. Teachers finally received their delayed salaries Monday, reports say. in a move that has provoked some grumbling on social media. Under Zimbabwean law, it is an offence to criticise the longtime president. There is still no news of Zimbabwean journalist-turned-activist Itai Dzamara, who staged a lone protest against Mugabe and disappeared nine months ago. Dzamara used to stand in central Harare’s Africa Unity Square holding a placard denouncing Mugabe, 91. Critics and the main opposition Movement for Democratic Change say they hold the Mugabe government responsible for his abduction from a township barber shop.